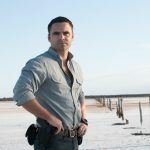 Australian actor Dustin Clare, best known for his roles in McLeod's Daughters and Starz's Spartacus, will distribute a new documentary under his Fighting Chance Films banner. Life Off Grid documents the lives of people who have made a decision to live off the grid, without mobile phones or electric and natural gas infrastructure. Fighting Chance previously produced and distributed Sunday, the 2014 feature Clare wrote and starred in with Camille Keenan. Life Off Grid was directed by Jonathan Taggart and produced by Phillip Vannini. The duo spent two years travelling across Canada, visiting 200 off-gridders in their homes. ”I was very inspired by the off-gridders in this frank and honest documentary focusing on living with only what we need", Clare said. "Their determination and genuine desire to live as close to nature as possible was reason enough to get behind the release”. Life Off Grid will have a limited theatrical release commencing February 4 in Australia and New Zealand. The digital release on iTunes Fetch TV, Google Play and Xbox (through Madman) will take place on the same date. The film will also be available to book a Cinema on Demand via Tugg.